Grey Tiles. Not boring or dull. Just cool. As we seem to be approaching the end of summer, we've been pondering the colour grey. Words that sprung to mind initially included elephants, 'mature' gentlemen and hair dye. However, it would seem that grey has moved from being a very strong interior design statement to being almost an integral part of any interior design project. Whether used as a counterpoint to colour popping or to set a mood, there seems to be an infinite number of greys available now - from nearly white to practically black, with bluish tones or creamier - it seems there's a grey for everyone. And certainly more than 50 shades! The psychology behind grey is explored by The Design Sheppard in her post, Colour Psychology: Using Grey in Interiors. This interestingly points out that we may have turned to grey since the economic downturn. Does that make us a bit miserable, or actually incredibly switched on subliminally to pulling back from flash ostentation? 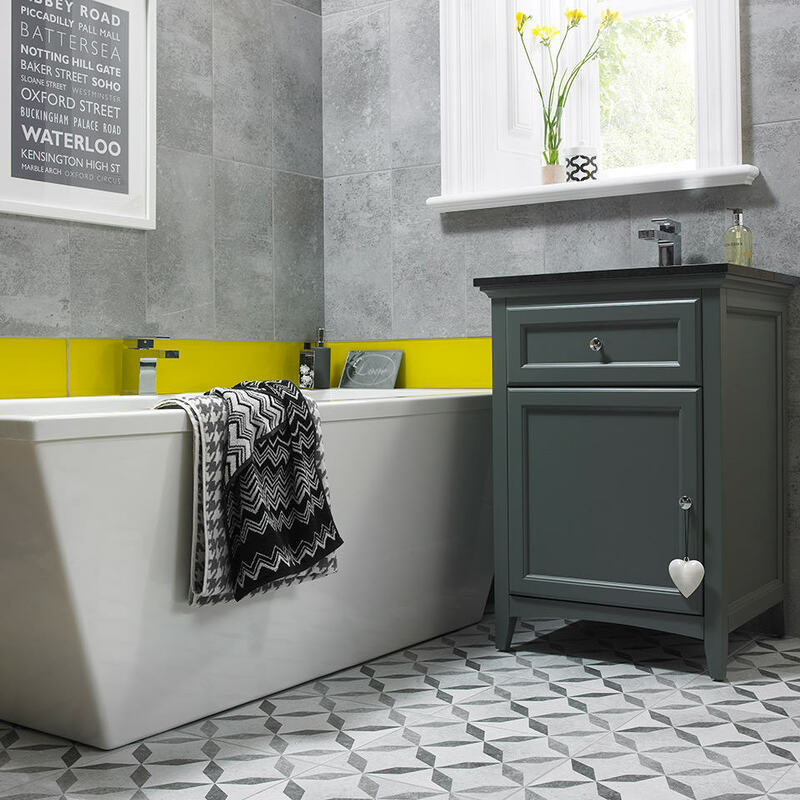 Many of our stunning new products are grey and we're loving the different styles and looks that can be created using the same colour. For an urban look try a Feature Floor in concrete effect. 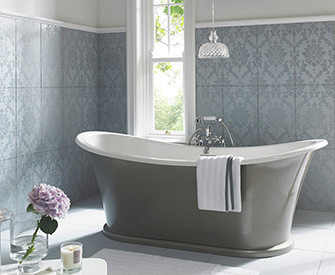 Alternatively, you can create a soft and restful space with our Statement tiles. Have a bash - go grey! It's not limited to elephants and old men anymore... in fact, if you want to you can dye your hair grey on purpose.